Construction on highways and other roads is a part of everyday life and necessary for maintaining safe roadways and city expansion. But although construction projects have a lot of benefits, they are also responsible for causing a large number of car accidents when crews and managers act negligently. When these workers do not maintain a safe environment, they can put motorists at risk of injury. 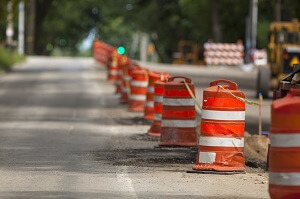 If you or someone you know has been involved in a car accident caused by construction crew’s negligence, you may be eligible for financial compensation. To discuss your legal options with a qualified attorney, contact the Delaware car accident attorneys at Morris James Personal Injury Group to schedule a free consultation. You may be entitled to financial compensation for medical bills, vehicle repairs, and other damages if you have been in a car crash due to a construction crew’s negligence. Contact a dedicated and tenacious Delaware personal injury lawyer with Morris James Personal Injury Group today for help holding these negligent parties accountable.